GU Laoshi is an internationally recognized teacher and healer who received his training from a variety of Grandmasters in China and at the world's largest Qigong hospital. This "medicine-less" hospital, Zhineng Qigong Center, has treated over 200,000 patients with over 185 different illnesses and has a 95% success rate. MA LAOSHI is a renowned healer known as the epitomy of compassion and service to others. After healing herself and recovering from a severe autoimmune disorder, she completed her Master teacher training at the Huaxia Zhineng Qigong training center in Hebei. She specializes in the treatment of depression, malaise, and low immunity. JIANSHE LIU Laoshi When your life improves and you are full of energy, everything becomes beautiful in your eyes, everyone is kind to you. It's true that you yourself change and the whole world then seems different. Qigong brings people happiness and inner joy . Qigong gives more energy and strength! We feel each day is the start of our new life, we can make our life more beautiful and full of energy every day! 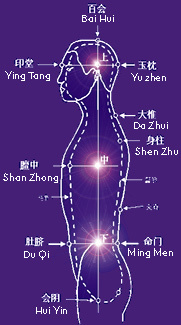 I have been engaged in qigong healing and teaching since 1991. I have spread qigong in city and village, in China and overseas. I have witnessed many marvels of healing with my own eyes. I deeply feel qigong can bring hope to humanity and harmony to the world. ZHAO YOU MEI Laoshi is the eminent teacher of Qigong for children. After recovering from a severe accident which damaged her lower spine, she went on to obtain her Master teacher certification at Huaxia Zhineng Qigong training center in Hebei. She spent more than six years there, specializing in the training of children, developing their innate abilities. At 17 years of age, Yuan Tze started studying Daoist Qigong, and then later studied Confucianism, Buddhism, traditional and modern Qigong, Folk Qigong, Traditional Chinese Medicine and folk medicine, following a number of great Masters in each. Yuan Tze considers himself very fortunate to have met these Masters and to have received secret teachings from them in various areas. Zou Ping laoshi was born in 1973 in Yichun City, Jiangxi Province. Most of his childhood he lived in the countryside, where he received much love from the locals. He discovered Zhineng Qigong in 1992 through his older sister's books, until then he had not heard about qigong. It led him to the path of qigong and since then his life has changed completely. In 1997 he was admitted to the two-year course for teachers at the highest levels in the heart of Huaxia, led by Dr. Pang himself. HeI graduated in 1999. "I believe that any challenge can be overcome if one really practices qigong in the heart and mind. I'm not afraid of anything, because every day my life improves through regular practice."